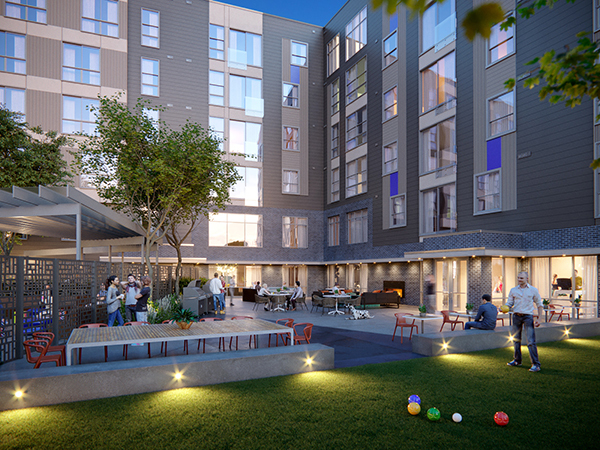 This project responds to the increased demand for housing that is proximate and accessible to Boston’s urban core. 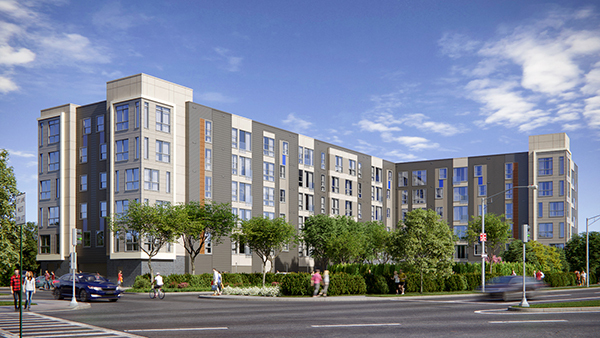 Redgate designed a mid-rise multifamily building with shared amenities and re-planned the site to include a hotel component, which is being developed by a third party. The site consists of a 6.2-acre parcel along Revere Beach Parkway and is adjacent to Beachmont, a vibrant, diverse neighborhood that abuts Revere Beach and the Bell Isle Marsh Reservation. The site is also across from the Blue Line “T” Beachmont Station and only a twelve-minute ride to Downtown Boston. The location is 0.4 miles from Route 1A, which provides vehicular access to downtown Boston and Logan Airport, and convenient connections to both I-90 and I-93, providing access to major employment areas outside of Boston. 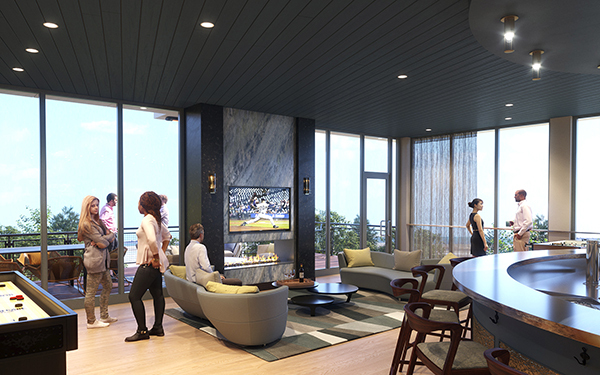 The full-service building, now under construction, will feature over 10,000 SF of interior and exterior amenity space including: a top floor bar/lounge/media concept; a communal workspace; dynamic fitness concept with sports lounge; outdoor zero entry pool; indoor and outdoor gaming activities; and a professionally managed dog day care facility with indoor and outdoor play space and pet concierge services.